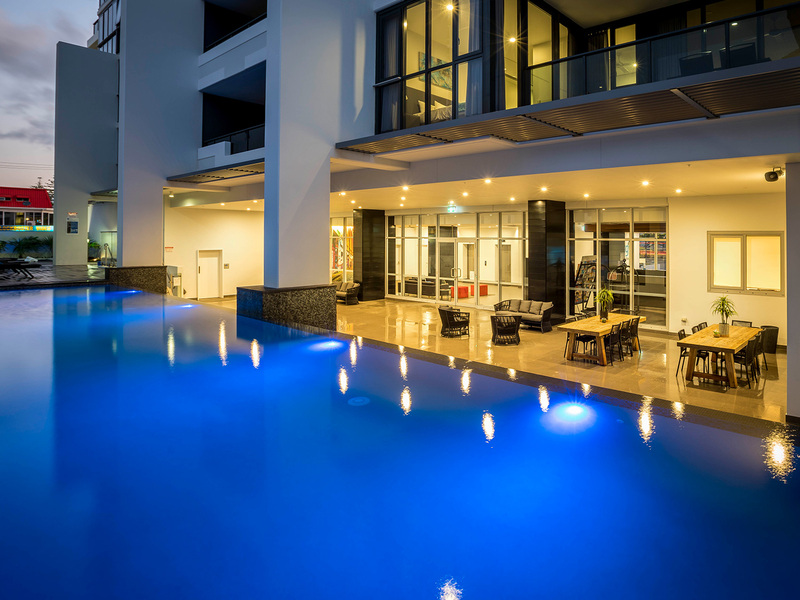 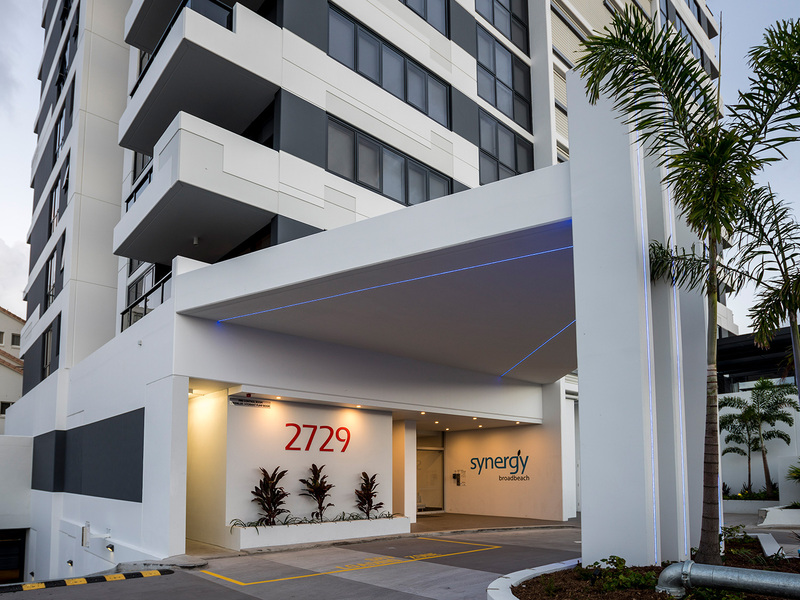 Synergy Apartments in Broadbeach is the latest in contemporary accommodation offering the best in lifestyle and convenience. 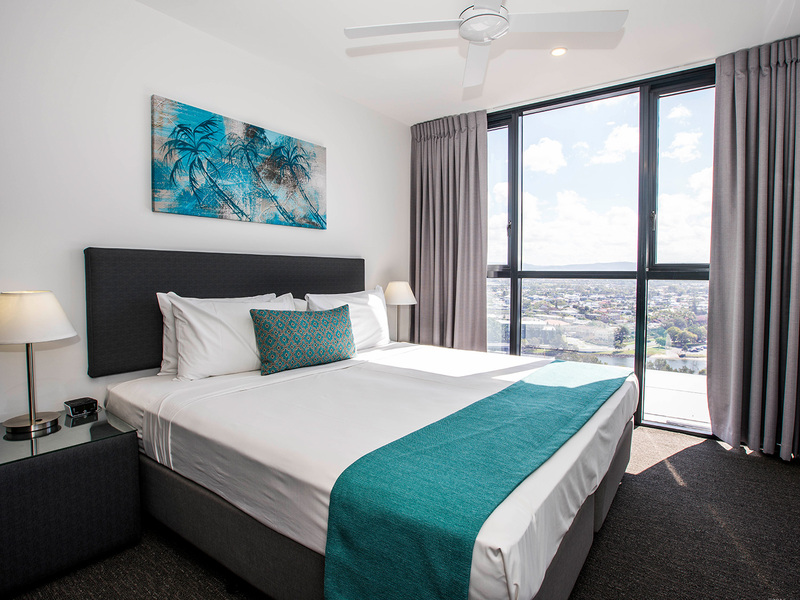 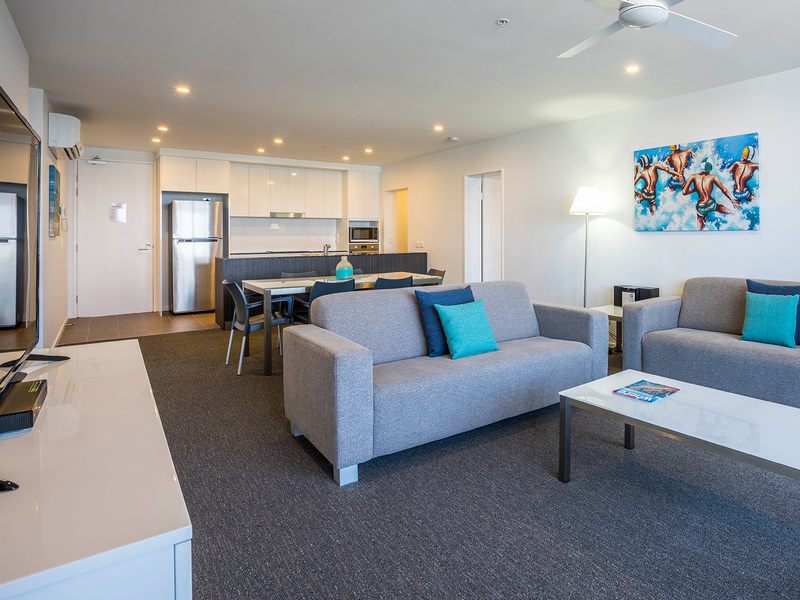 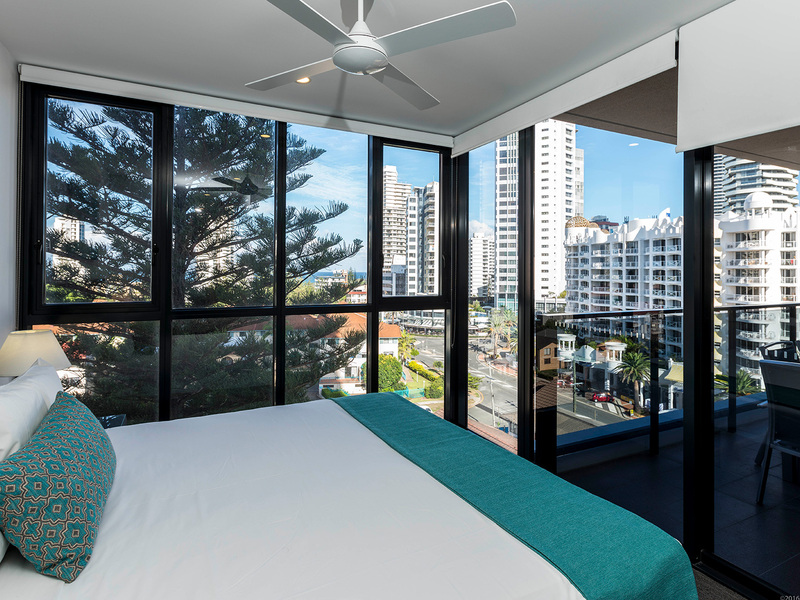 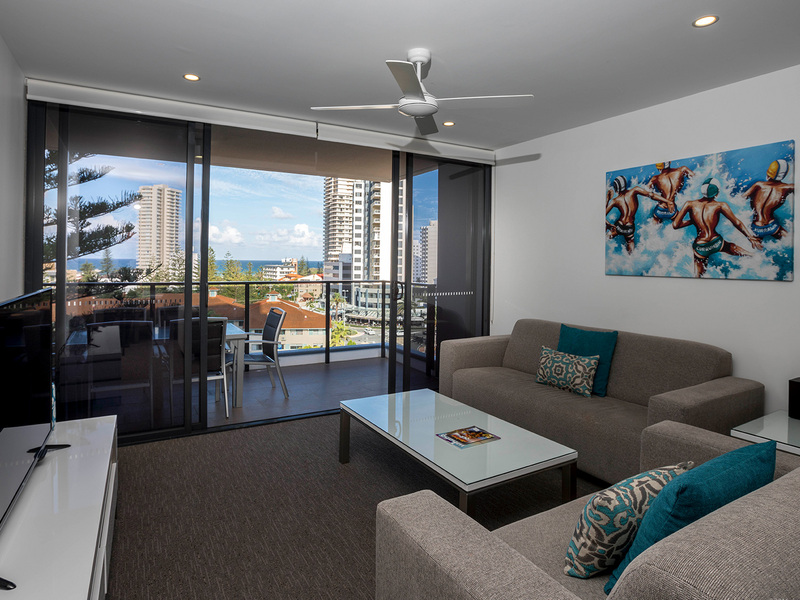 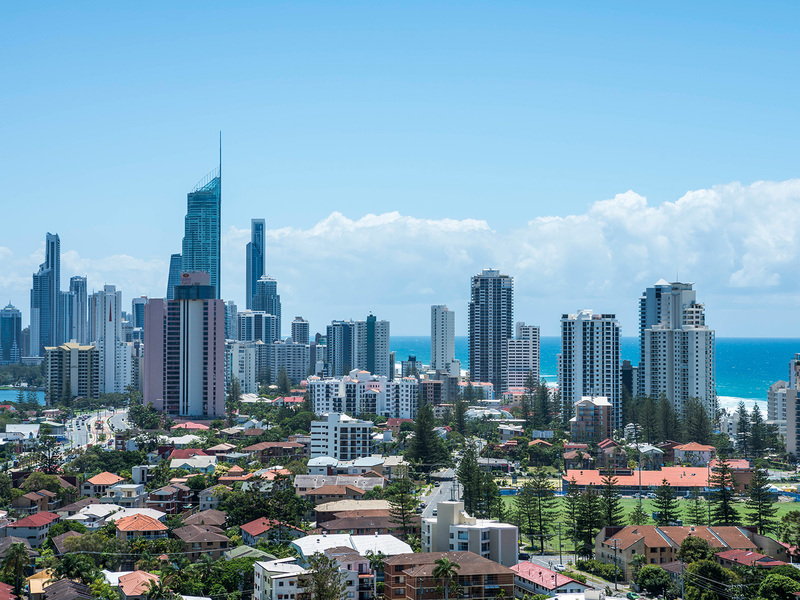 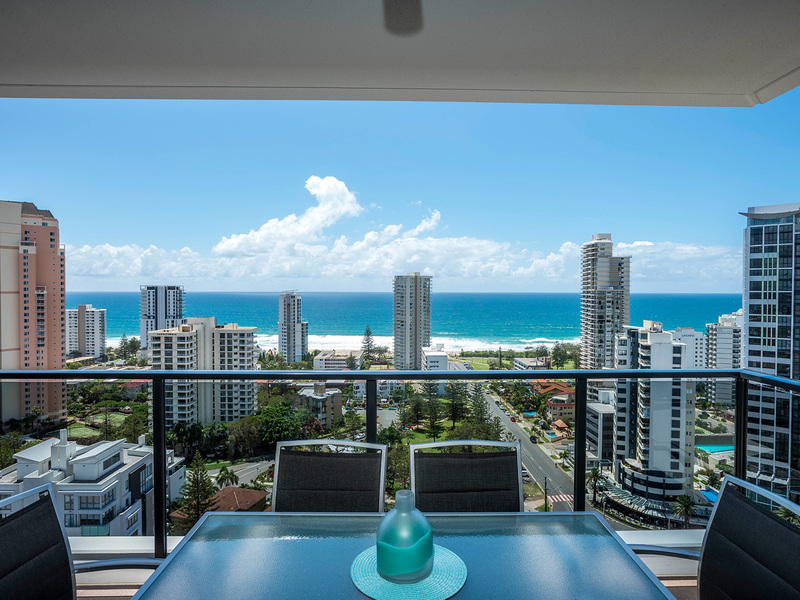 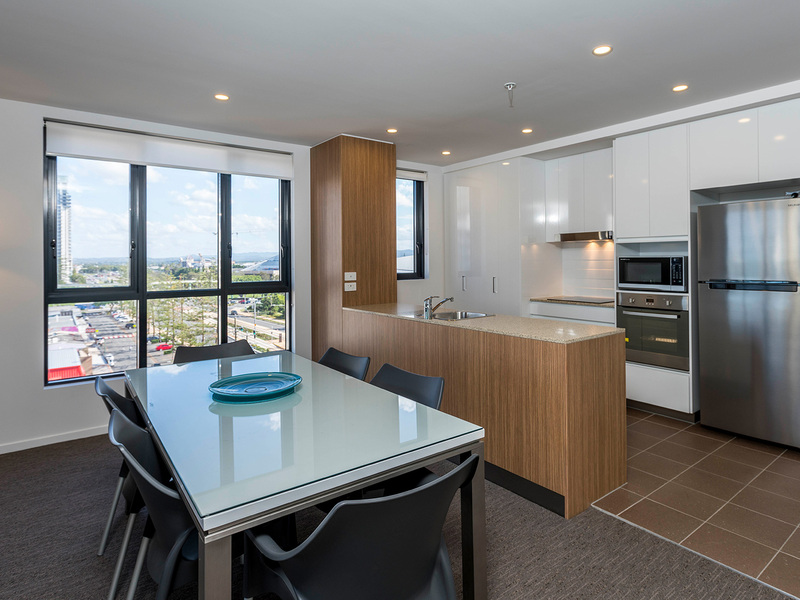 With a stunning design, modern rooms, facilities and great views of the ocean, staying at Synergy Apartments Broadbeach will leave you feeling refreshed and ready to experience the Gold Coast. 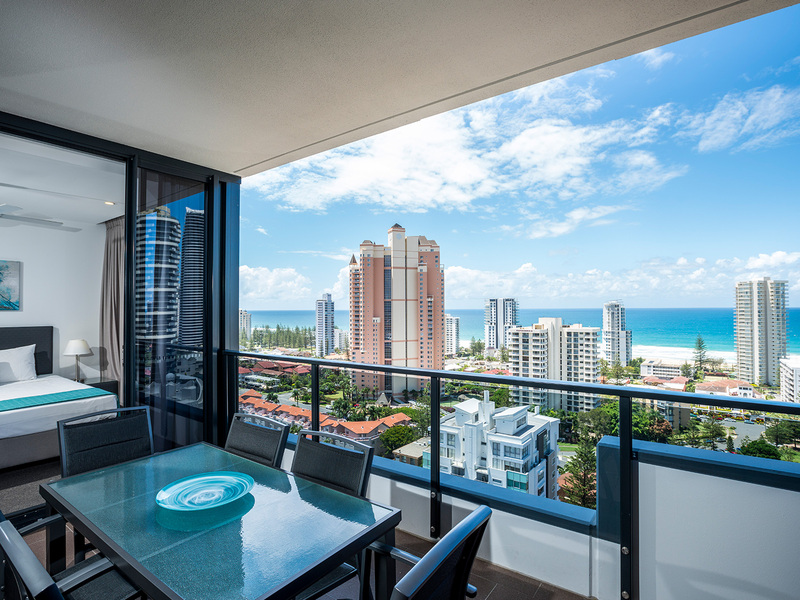 Not only does Synergy offer the best in Broadbeach luxury, but these holiday apartments are located opposite the Gold Coast Convention and Exhibition Centre in the heart of Broadbeach with convenient access to fantastic shopping centres, Kurrawa Beach, and over 100 superb cafés and restaurants. 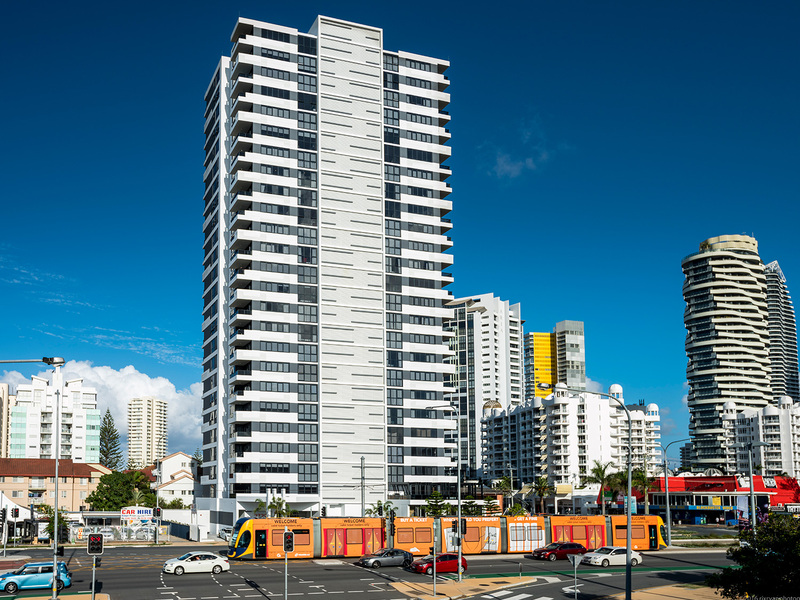 Exploring the Gold Coast has never been easier with the new light rail tram station (Broadbeach North) located directly in front of the building. 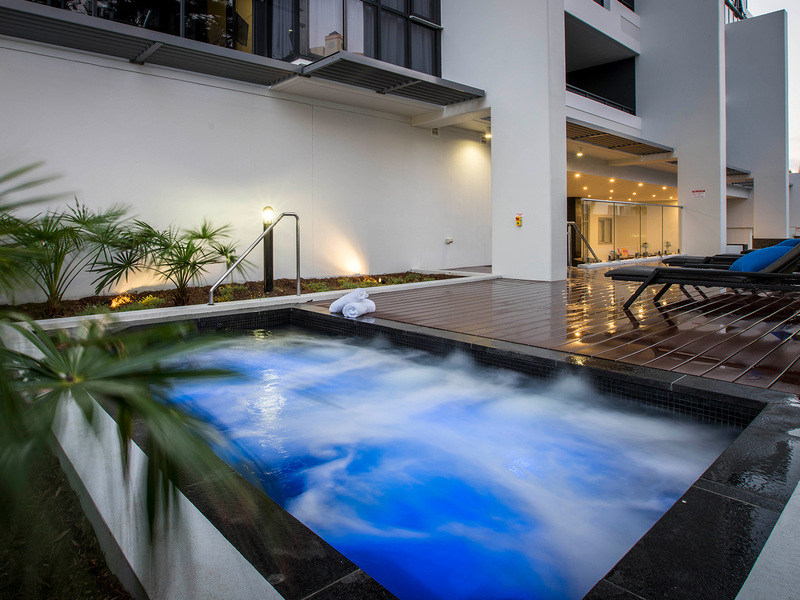 Synergy Apartment guests have access to a wide range of facilities including a barbecue area with large terrace perfect for entertaining, outdoor heated swimming pool, outdoor heated spa and gymnasium. 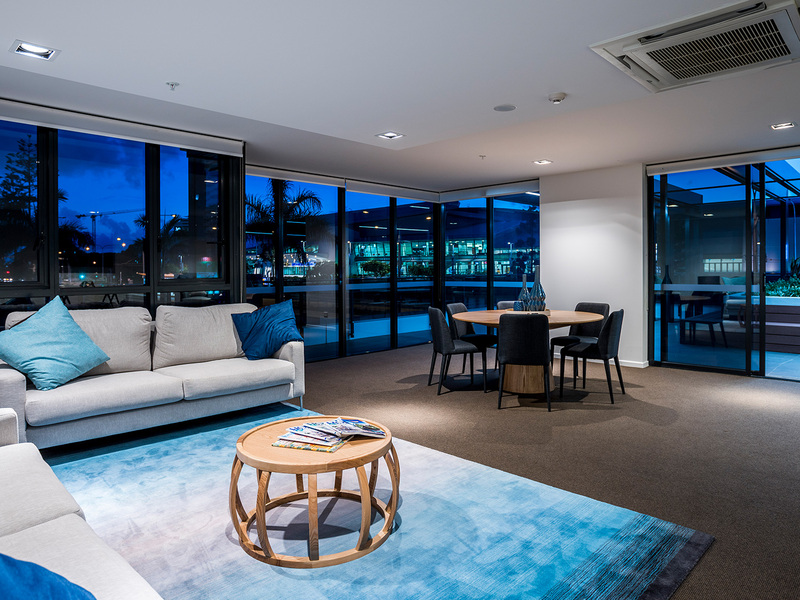 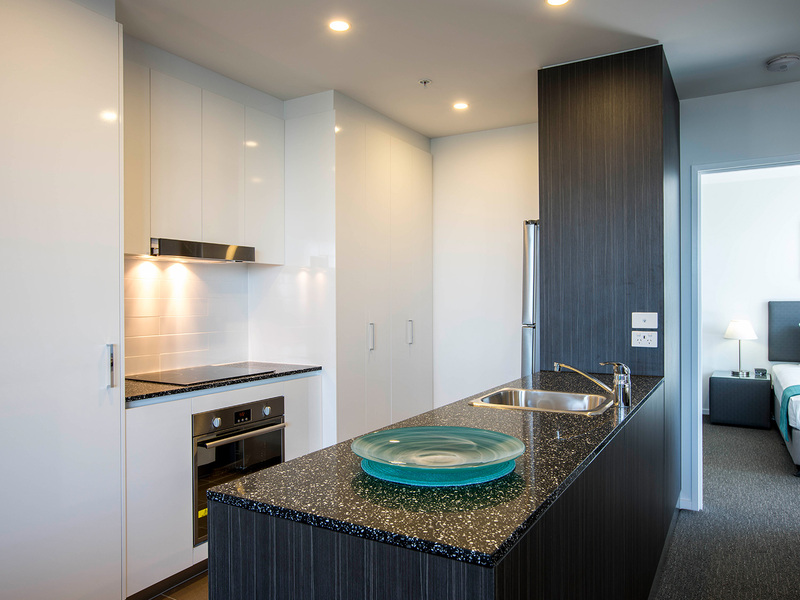 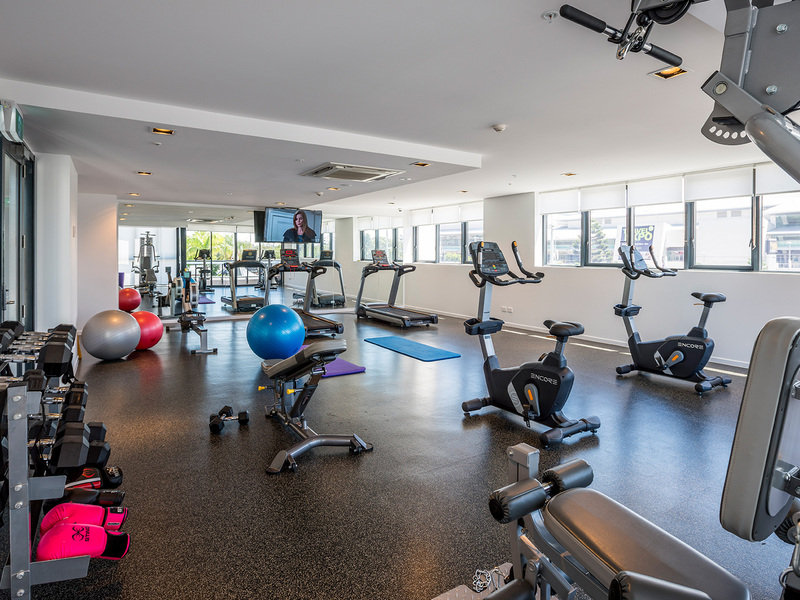 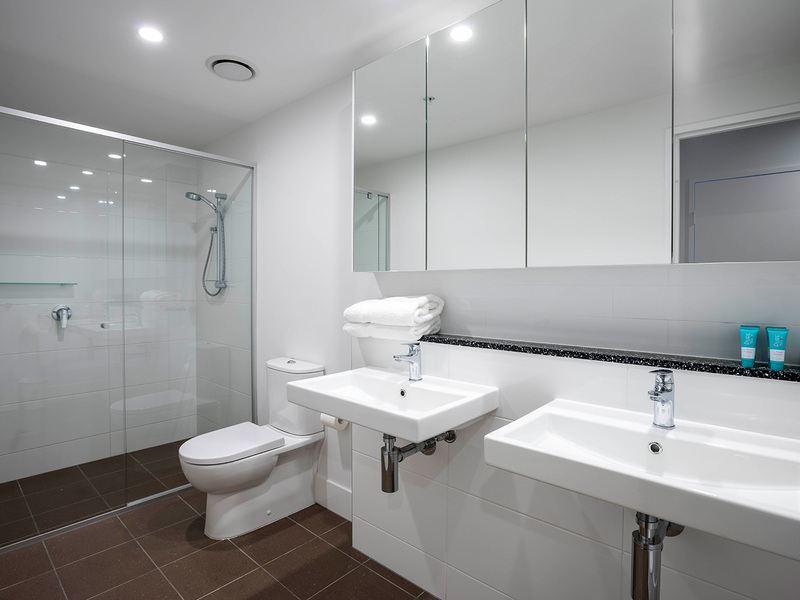 Each apartment comes with a secured underground car park to store your vehicle whilst staying in Broadbeach. 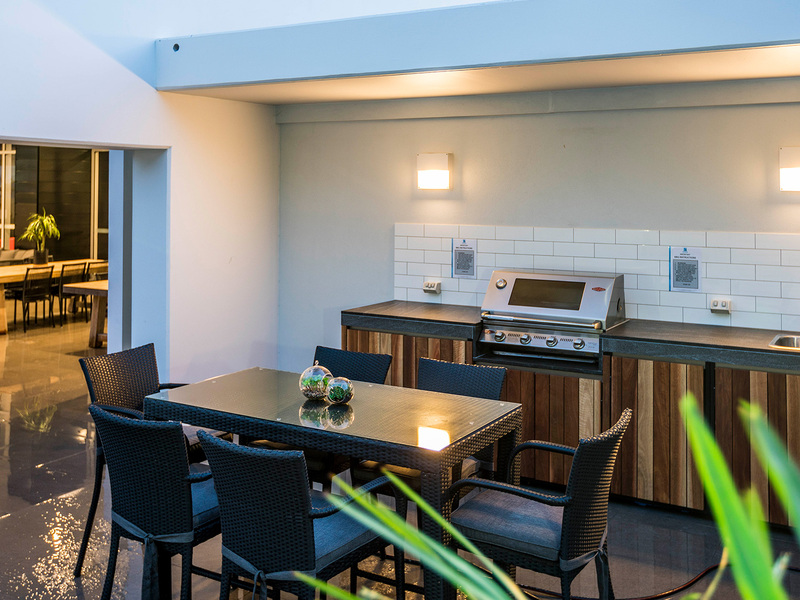 Free WIFI is based on 100mb or 1 hour per day whichever is reached first. 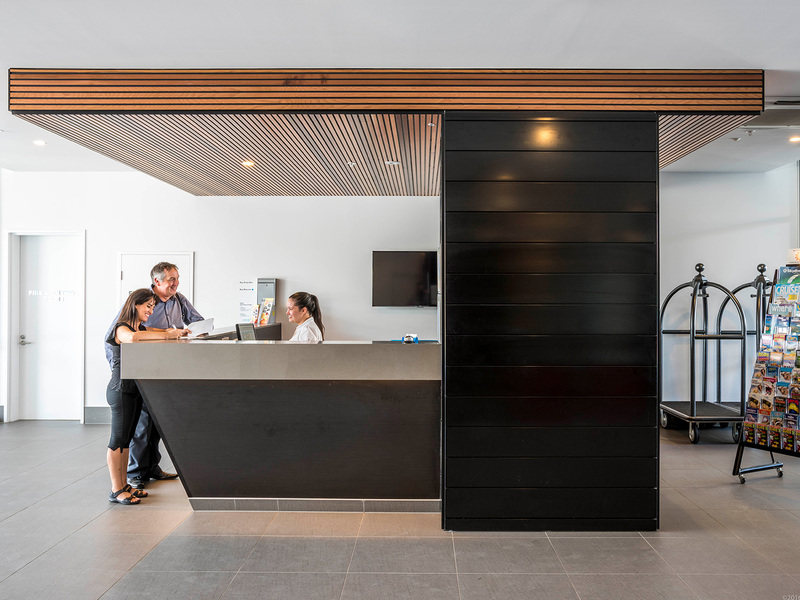 Guests may purchase additional data at the resort. 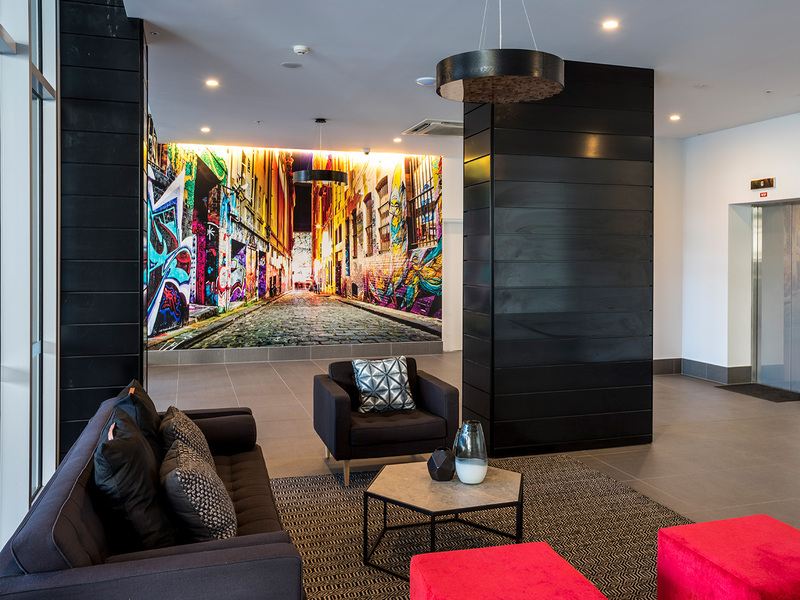 Parking Free security undercover parking available. 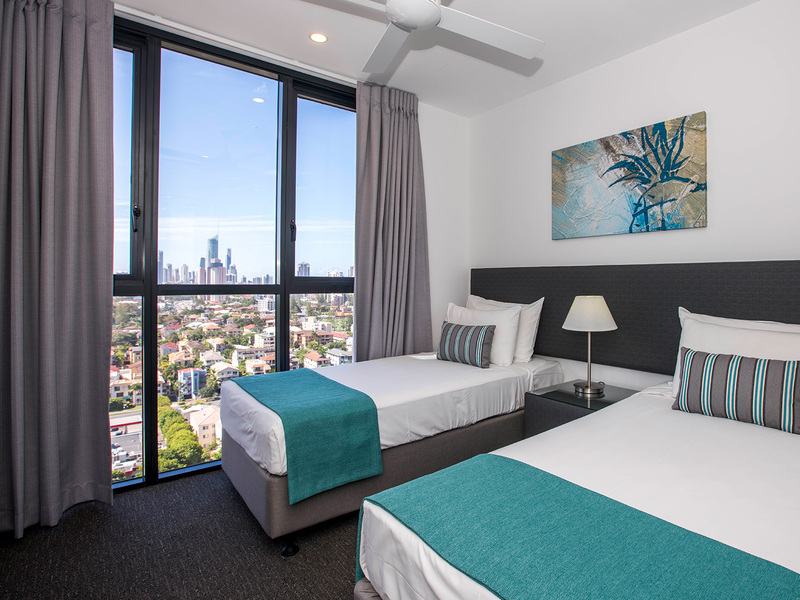 Please note there is a height restriction of 2.1 metres. 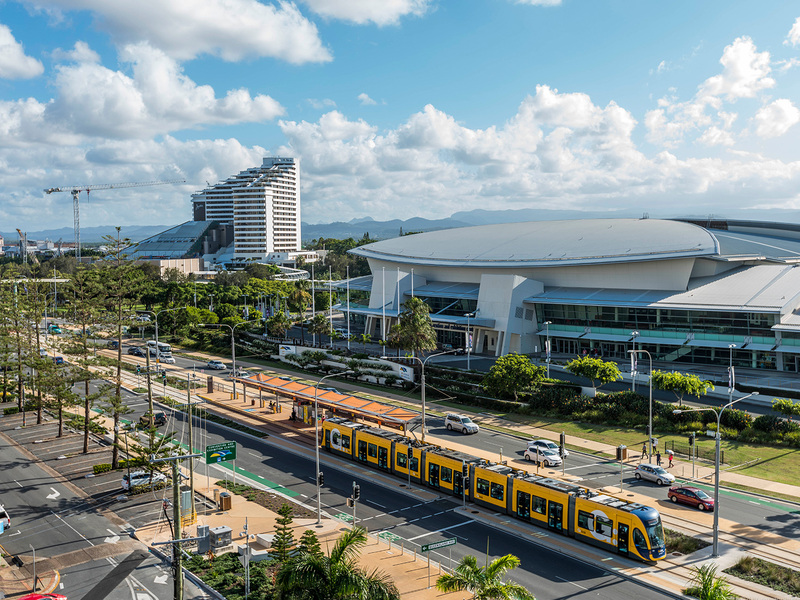 Please note: no arrivals or departures are permitted on Christmas Day.